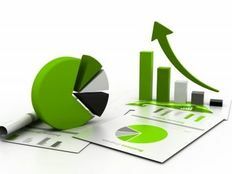 Mutual fund investors can find out how their fund has done by reading the annual fund report. All mutual funds that are registered with the SEC are required to send a full report to all shareholders every year. This report contains a great deal of legal language and can be difficult to read in many cases, but it is important to know what it says so that you can evaluate the fund’s performance. Here’s what you need to look for when your copy arrives in the mail. This section explains what the fund is trying to accomplish and its method of doing so. For example, a small cap growth fund’s objective will be something to the effect of attempting to achieve growth through the purchase of small cap stocks that the portfolio managers believe have the potential for substantial growth. It is important for you to understand the fund’s objective so that you know whether it matches your own objectives. Small cap stocks would obviously not fit your needs if you are seeking stable income. Possible objectives include growth, income, capital preservation, and tax efficiency. The fund will attempt to accomplish its objective by purchasing the appropriate types of securities, such as stocks, bonds, cash, real estate or derivatives according to a specific strategy that is outlined in the fund charter. This section will contain a list of the number of shares or units of every security that the fund held during the year. It is also often presented as a graph such as a pie chart. You can compare the holdings that are listed against the fund’s objective to make sure that they match. For example, you should obviously not be finding municipal bonds listed as holdings for a growth fund. The portfolio turnover ratio will also be listed here, which you should also compare to other funds of its type. This section breaks down how much you are paying the fund to manage your money. It will contain a table showing how much you are paying per thousand dollars invested as well as all front and back-end sales charges and a schedule of when they are charged and the expiration schedule for back-end charges. It will list management fees known as 12b-1 fees, transfer fees and any other fees that the fund charges. As with performance, you can compare the fees charged by the fund with other similar funds to gauge its value. 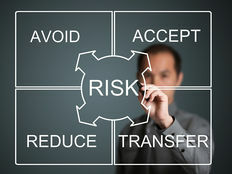 This section will also often state the amount or degree of each type of risk that it carries, such as low, medium or high. Other information that you will find in the fund report includes detailed information on each portfolio manager that lists their background, experience, tenure, investment philosophy, methodology, and compensation. Other key officers and employees are usually listed as well. It is preferable to see fund managers that have had at least 20 years of experience and have weathered a bear market or two. Many reports also contain an executive summary about how the fund is doing and the direction that the managers intend to steer it. It is important for you to be able to evaluate the information contained in this report. You can determine how well the fund is doing by comparing the returns, expenses, and risks with its benchmark and with other similar funds. You can look at the holdings in the fund to see whether it is really following its stated strategy. Note that a high portfolio turnover can raise expenses and lower returns over time. Your mutual fund’s annual report contains a wealth of information about who is running the fund and how it has performed compared to its peers and benchmark. 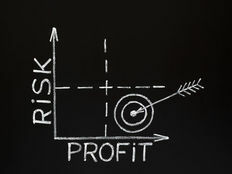 It also lists the fees and charges that it assesses and provides a breakdown of the types of risk the fund carries. Although absorbing this information can be challenging, it will enable you to know how well the fund is run and whether it is meeting its objectives as well as yours.